Higher age is associated with reduced physical capability in the general population. The role of age and gender for physical performance in older adults who exercises regularly is, however, not clear, and there is also a lack of recommendations for outcomes to address physical performance for this population. 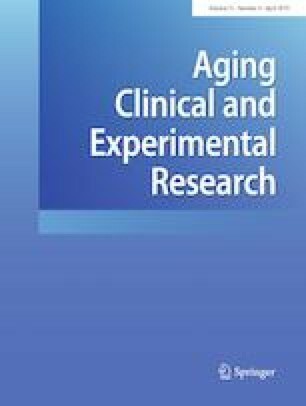 To explore the associations between physical performance, age and gender, and to examine the suitability and feasibility of clinical field tests for physical performance in active older adults. In this cross-sectional study we included 105 persons, 70–90 years of age, who had exercised regularly for ≥ 12 months. The field tests were Short Physical Performance Battery (SPPB), Timed Up and Go and gait speed for mobility; One-leg standing (OLS) test and Mini-BESTest for balance; Stair test for endurance, 30 s sit-to-stand, and grip strength for muscle strength. We found associations between age and physical performance, and the associations were slightly stronger for women. Men performed better on tests of muscle strength, balance and endurance, while no gender differences were found in mobility. Grip strength was not associated with mobility tests for men. All tests were feasible, while SPPB and OLS had ceiling and floor effects that limit their suitability in this population. Both age and gender were associated with physical performance. We recommend using the gait speed, Mini-BESTest, 30 s sit-to-stand, grip strength and stair tests to assess physical performance in physically active older adults. The authors would like to thank all the participants for the time and effort they put into the participation in this study. We will also thank all the personnel at the inclusion sites who invited their clients into the study. The Norwegian Fund for Post-Graduate Training in Physiotherapy supported this study through the FYSIOPRIM program. The study is approved by the Regional Committee for Medical and Health Research Ethics South East Norway (nr. 2013/2030). All procedures performed in this study involving human participants were in accordance with the ethical standards of the 1964 Helsinki declaration and its later amendments. Written consent is obtained from all participants. Parts of the results from this study have been presented as oral presentations on the Norwegian physiotherapy congress 2018, the Norwegian sports medicine congress 2017, and on the 24th Nordic Congress of Gerontology.